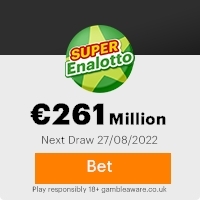 Euros(�300,000,000.00) to 100 lucky email addresses all over the world. correspondent earnings at the stock market  which was far beyond our projected quarterly earnings. 1,500,000  companies and individual e-mail addresses database. the form below and send it back to us for verification either by email or Fax. Cashier's Check for the sum which has already been deposited along with your email contact. automatically disqualified if you are below 17 years of age. confidential and exempted from disclosure. This Email with the Subject "Mastercard Lottery Promotions 2008" was received in one of Scamdex's honeypot email accounts on Tue, 15 Apr 2008 19:27:12 -0700 and has been classified as a Generic Scam Email. The sender shows as European Champions League <infodesk@mastercardpromotions.com>, although that address was probably spoofed. We recommend that you do not attempt to contact any persons or organizations referenced in this email, as you may expose yourself to scammers and, at the very least, you will be added to their email address lists for spam purposes.